State lawmakers have dealt out a pair of bills to legalize Internet poker in California. Assemblymen Mike Gatto, D-Glendale, and Reggies Jones-Sawyer, D-Los Angeles, have introduced separate proposals to allow online poker in the largest potential gaming market in the country. As many as 2 million Californians already play online poker, according to e-gaming company Vista Global Media, Inc., using websites located in other states or countries. Both bills would take advantage of new federal rules that allow states to legalize and regulate online poker. Delaware, Nevada and New Jersey have already granted gamblers the right to ante up online. The two bills proposed in California would establish the basic regulatory structure, set licensing requirements for online poker providers and levy taxes on gross online gaming revenue. While the bills share much in common, their subtle differences foretell a bruising battle between the state’s biggest and most powerful gambling interests. Back in December, Gatto was first out of the gate, arguing that California lets millions of dollars in potential tax revenue flow to other jurisdictions. His proposal, Assembly Bill 9, includes a one-time license deposit of $5 million, which “would be credited against quarterly fees equivalent to 5 percent of the licensee’s gross gaming revenue proceeds.” It limits licenses to tribal gaming establishments and card rooms, excluding the horse racing industry, from the market. 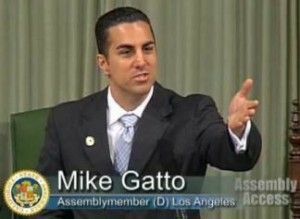 “The state’s interests are best met, therefore, by licensing only those entities in California that have experience operating card rooms and tribal gaming facilities that are currently permitted to offer live real-money poker games and are in good standing with the appropriate state, federal and tribal regulatory agencies,” Gatto’s bill states. Understandably, Joe Morris, president of Thoroughbred Owners of California, objected to Gatto’s exclusion, saying his industry wants a piece of the action. Gatto’s exclusion of the horse racing industry is one of several major differences with Jones-Sawyer’s proposal. While Jones-Sawyer has curried favor with horse tracks, he’s drawn the ire of the state’s most powerful gambling interest, the Pechanga Band of Luiseno Indians. Pechanga is concerned that Jones-Sawyer’s legislation would allow “bad actors” to enter the online poker market. 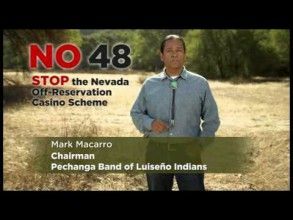 The concern is similar to its opposition to Proposition 48, which voters rejected in 2014 and would have allowed off-reservation casinos. Macarro’s reference to “entities that previously violated federal law” is directed at PokerStars, a popular online poker site that defied the 2006 federal Unlawful Internet Gambling Enforcement Act. In 2011, the U.S. Department of Justice used UIGEA to seize the Internet domains and freeze the accounts for several online poker sites, including PokerStars. The following year, the company reached a settlement with the Justice Department that dismissed the charges without admitting any wrongdoing. 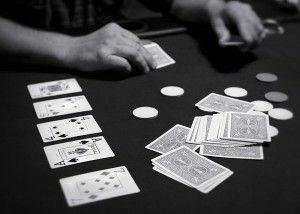 In addition to PokerStars, several tribes and card rooms are opposed to the tougher standards for blocking “bad actors.” Amaya Gaming Group, which owns and operates PokerStars, has partnered with two tribes, Morongo and San Manual, and three card rooms, Bicycle, Commerce and Hawaiian Gardens, to develop an online poker venture. “The bill seeks to establish a vibrant, competitive, fully inclusive marketplace with choices for consumers that enacts strong consumer protections; requires strict oversight and regulation of operators and licensees; and ensures a financial return for the state,” the PokerStars coalition said in reference to Jones-Sawyer’s bill. What are the chances for a compromise? He added that he looks forward to working with Jones-Sawyer to forge a compromise bill. Both measures need a two-thirds majority in both houses of the Legislature.